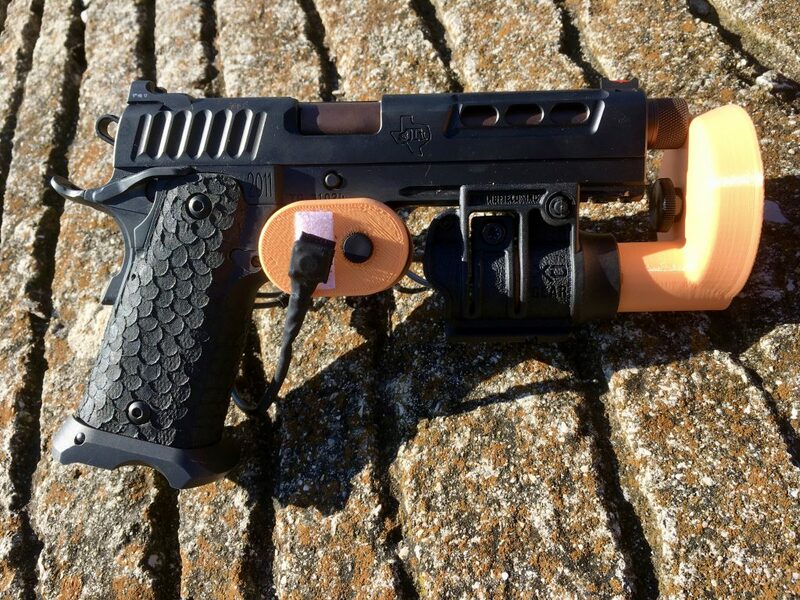 Show below is the patented LeadTech VR gun controller adapter for the Vive Tracker on two handguns and an AR 15. 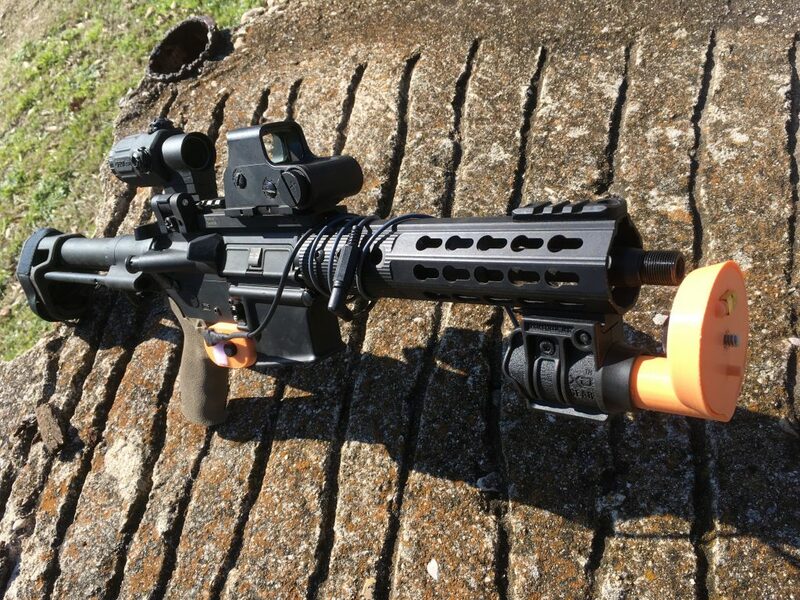 The VR Gun controller mounts to most accessory rail brackets for flashlights and lasers – including, of course AirSoft guns. We are going to start testing the Gun Controller in FPS VR games that accept the Vive Tracker as input. 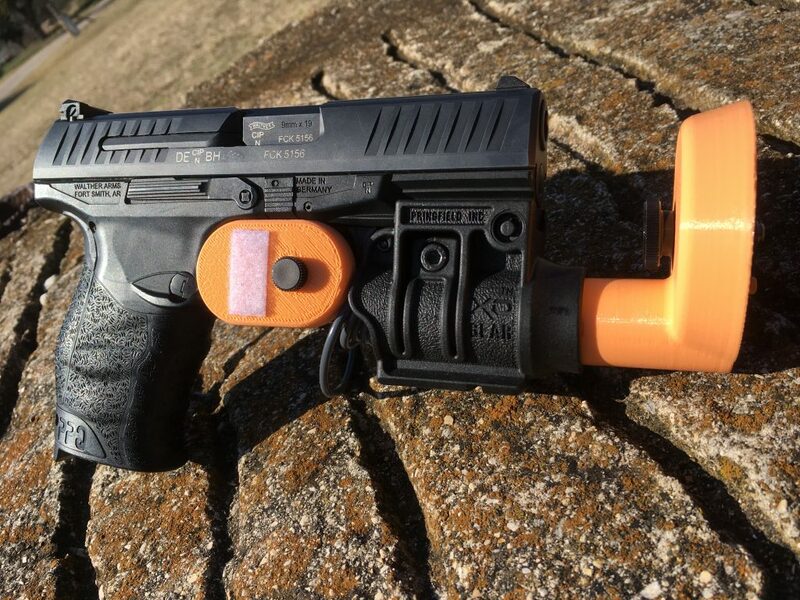 This is the same gun controller bracket that we make for shotguns to play Clazer. Shown with trigger guard block, trigger switch Velcro pad, Vive Tracker not attached.